It's direct sharing all right. But very densely packed. As we reported yesterday, the latest Hipstamatic update adds something that’s not just new for the app, but new for the App Store: direct access to the Instagram API. Does it make a startling difference to the way you use Hipstamatic? No, not really. Only regular users of both Hipstamatic and Instagram will notice a substantial difference. The greater part of the change is a technical one. Where before you needed to export images from Hipstamatic and then import them into Instagram, now you can upload directly from Hipstamatic in-app. It’s faster and easier. If you’re a frequent user of Hipstamatic, this update adds some new functionality that greatly speeds up sharing your photos online – not just on Instagram, but everywhere else you might want to share too. Now you can share to multiple services at once. We saw very similar new features in the recent Camera+ update too. 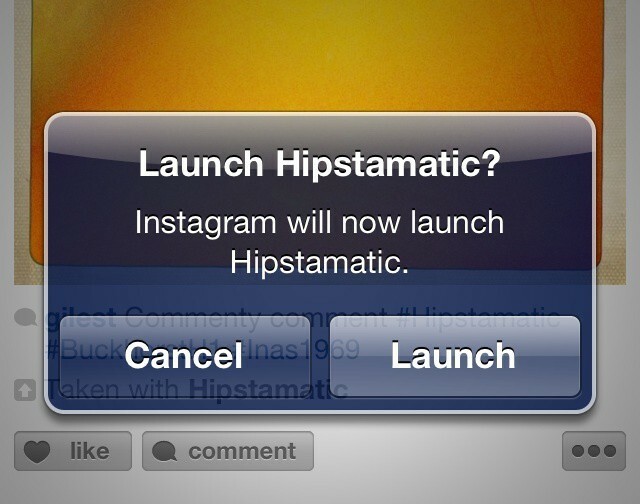 Part of the process includes the automatic addition of Hipstahashtags on your Instagrammed image, including the names of the Hipstaoptions you picked (lens, film, flash etc). Tap the “Taken with Hipstamatic” thing inside Instagram, and you’ll be offered the chance to open the image back in Hipstamatic again. The sharing UI in Hipstamatic is clear to use, but doesn’t half feel crowded. Your photo is shoved to one side, while the sharing pane is squeezed into the remaining two thirds of screen space. You can tap little icons for the social networks you want to share with, but each one of these is teeny tiny. It feels very cramped. That’s the price you must pay to become a social photography hipstaninja. It would be so much nicer to use if it was allowed a little room to breathe. So if social photography is your thing, you’ll probably be pleased to see this new closer integration. If, like me, you find Hipstamatic a little overcrowded with buttons, controls and options, fear not: this is likely to be just the first app to connect to Instagram this way. The point of an API is to open a platform up. Expect more camera apps to get Insta’ed up in the coming months. 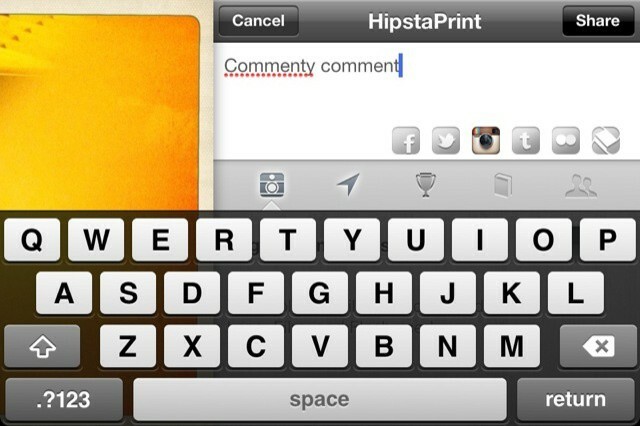 Pro: Insta sharing has never been so Hipsta.